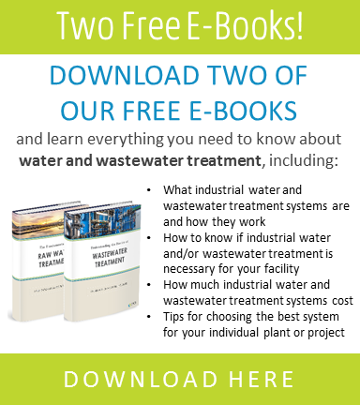 If so, it pays to have a basic understanding of how and why the major types of industrial water treatment systems are used. This article will help you to understand some of the key reasons for implementing an industrial water treatment system so you can determine what technologies might be a good fit for your facility. Does your plant draw from a raw water source? You need to remove off tastes and/or colors. Particularly important for the food and beverage industry, raw water treatment is often key for removal of tastes and colors that compromise product quality. You need to remove pathogens or biological contaminants. Raw source water frequently contains bacteria, viruses, algae, fungi, or other biological components that can cause disease when ingested by humans as well as fouling of downstream equipment. You want to optimize or protect process equipment. Raw water treatment can remove suspended solids, silica, hardness and other contaminants that can cause scaling or fouling of downstream equipment. To learn more about whether raw water treatment is right for your facility, check out our article Do You Need a Raw Water Treatment System for Your Plant? Does your plant use a boiler? You want to maximize boiler service life. Scaling, clogging, and corrosion can significantly shorten the functional life of your boiler equipment. A boiler feed water treatment system can help protect your investment by removing dissolved oxygen, carbon dioxide, calcium, magnesium, silica, and other problematic substances. You use a high-pressure boiler unit. Since tolerance for impurities decreases as system pressure increases, boiler feed water treatment is often necessary to ensure safe operation of high-pressure boilers. You’re looking to save on energy or maintenance costs. Impurities in you water feeds can accumulate on pipes and equipment surfaces, which can inhibit heat transfer, and restrict flow. Treatment can remove contaminants in order to minimize energy costs for heating and circulating water through a boiler unit. To learn more about how boiler feed water treatment can help you, see our article Do You Need a Boiler Feed Water Treatment System for Your Plant? Does your plant use a cooling tower? Your feed water is too acidic or alkaline. In order to mitigate the risk of scale and corrosion on cooling tower components and pipes, your cooling tower feed water may need treatment so that it falls within a given pH range suitable for your equipment. You need to decrease the concentration of total dissolved solids (TDS). Hardness and TDS can deposit on surfaces, which can result in clogging, equipment damage, and excess downtime down the road. You need to remove microbiological contaminants. Due to the warm conditions in cooling towers, biological fouling can easily get out of hand, potentially causing health risks or jeopardizing compliance with state mandates. Treatment of makeup or other water can help to remove or neutralize biological contaminants such as bacteria, fungi, and algae. You want to cut source or discharge costs. Treating blowdown water for reuse can be a cost-effective strategy for reducing discharge volumes and/or cutting water consumption, especially in areas with strict discharge regulations or water scarcity challenges. To learn more about whether cooling tower water treatment is right for your facility, check out our article How Do You Know If You Need a Cooling Tower Water Treatment System for Your Plant? Does your plant produce wastewater? Your wastewater contains pollutants or toxic materials. Oils, grease, suspended solids, metals, inorganic contaminants, high biochemical oxygen demand (BOD), and other contaminants must often be removed from waste streams prior to reuse and/or discharge. You need to comply with regulatory requirements for discharge. If you discharge to the environment, you’ll likely need to bring your stream into compliance with a National Pollutant Discharge Elimination System (NPDES) permit. Alternatively, if you discharge to the local publicly owned treatment works (POTW), you may need to treat your effluent to meet the standards of your municipality. Either way, it pays to be proactive, as failure to meet compliance guidelines can result in hefty fines. You want to reuse your waste streams for other processes. Recycling your waste streams can be extremely efficient, as it can drastically reduce your discharge costs and water use. Still, you’ll need to properly treat your waste streams to remove any contaminants that could damage process equipment or compromise product quality. 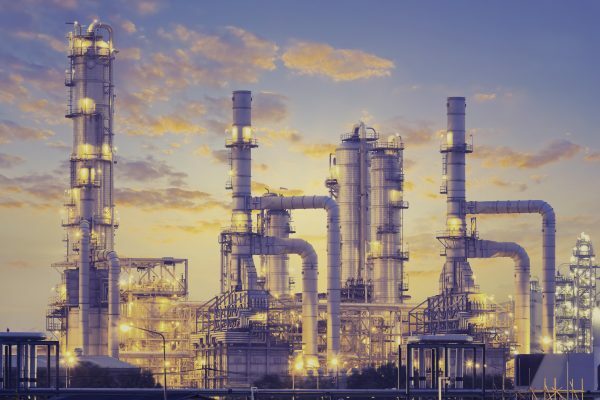 To learn more about whether a wastewater treatment system can benefit your facility, check out our article How Do You Know If an Industrial Facility Needs a Wastewater Treatment System? When it comes to deciding whether an industrial water treatment system is right for your plant, it is essential to consult a qualified water treatment specialist who can help you identify the right system to meet your goals and budget. While there are a wide variety of specialized water treatment applications, those mentioned here comprise some of the more common systems sought by industrial facilities. An expert can perform treatability studies to get a better handle on your needs, and can also help you to navigate the many water treatment technologies suitable for your unique process conditions and stream chemistry. Now that you understand how an industrial water treatment system might benefit your facility, be sure to read more articles on our blog that delve into these systems a bit deeper. Some of the topics we discuss include how much these systems cost, common problems you might see, and how to choose the best system for your facility, among others.